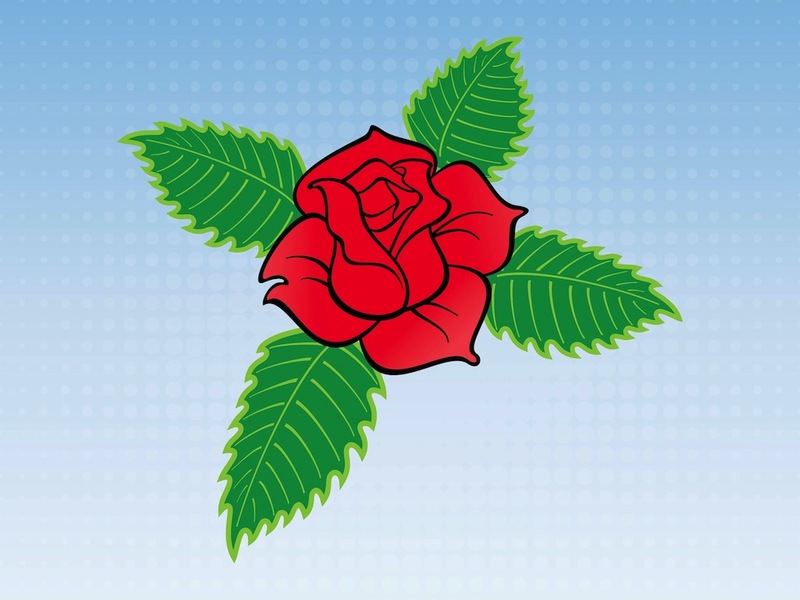 Vector graphics of a blossoming rose with lush leaves. Crisp outlines and bright colors on the flower illustration, cartoon style with curved shapes. Free vector illustration for all your stickers, tattoos, clothing prints, decals, banners and decorations projects. Rose in bloom for your spring and nature designs. Tags: Bloom, Blossom, Floral, Flower, Fresh, Leaves, Petals.